The Cuba that Castro took over in 1959 was a nation overrun with American business. Tourists could stay in American-owned Hiltons, shop at Woolworth’s, and withdraw money at American-owned banks. American-owned petroleum refineries sat amid American cattle ranches, sugar factories, and nickel mines, and an American-owned telecommunications firm controlled the country’s phone lines. According to a 2008 report from the US Department of Agriculture, Americans controlled three-quarters of Cuba’s arable land. Cuba’s revolutionary leader swiftly signed several laws nationalizing what was previously private property. Though the laws required the government to compensate the owners, the payment was to be made in Cuban bonds—an idea that was not taken seriously by the United States. In 1960, the administration of President Eisenhower punished Castro’s expropriation of American assets by sharply cutting the amount of sugar the United States was buying from Cuba. “We kind of went ballistic at the thought that anyone would take our property,” said Jonathan Hansen, a faculty associate at Harvard University’s Center for Latin American Studies. 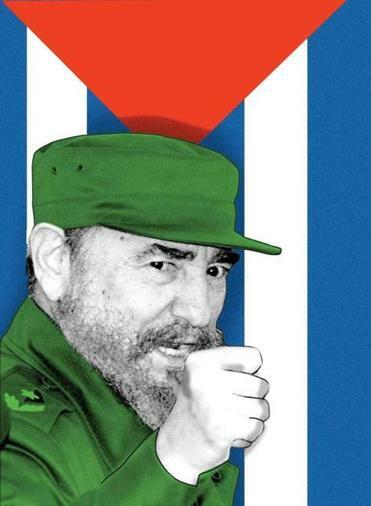 Tempers ran hot in both directions: in a speech, Castro vowed to separate Americans in Cuba from all of their possessions, “down to the nails in their shoes.” The standoff culminated in a near-total embargo on American exports to Cuba and a reduction of sugar imports to zero. 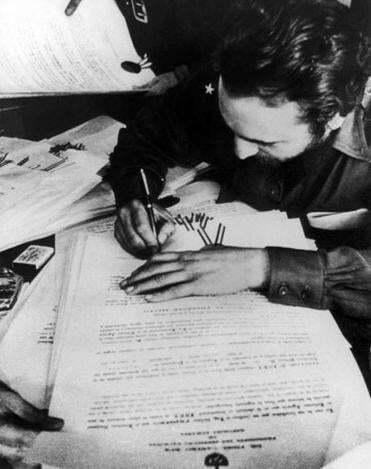 Fidel Castro signed certificates redistributing land in May 1959. Other countries that had holdings in Cuba—including Switzerland, Canada, Spain, and France—were more amenable to Castro’s terms, apparently convinced that there was no chance they’d ever get a better deal. But the Americans who had lost property wanted cash, and submitted official descriptions of what had been taken from them to the Foreign Claims Settlement Commission at the Department of Justice. Meanwhile, US relations with Cuba deteriorated. Diplomatic ties were cut. An attempt by President Kennedy to overthrow Castro failed, and a standoff over Soviet missiles in 1962 brought the world as close to nuclear war as it has ever come. The invisible economic wall—which by then had been expanded to ban virtually all imports from Cuba—had become part of something much larger. One possibility has been put forth by Tamargo, who advocates for an approach that would compensate claimants—his clients among them—by imposing a 10 percent user fee on all remittances sent to Cubans by their American relatives, as well as all other transactions that are allowed to take place under the current embargo rules. (While this proposal can be seen as a tax on US residents, it is designed to come only out of money that is entering the Cuban economy.) Another proposal was presented several years ago by Timothy Ashby, a Miami lawyer, who started a company designed to buy claims at a discount from their original owners and then use them to broker a private settlement with the Cuban government. Ashby’s plan was thwarted when the Bush administration declared it illegal, but the prospect of a negotiated group settlement remains on the table—as long as it’s carried out by the US government, in accordance with existing law. Perhaps the most ambitious and pragmatic solution that’s been laid out so far appeared in a lengthy report published by scholars at Creighton University, who were given a grant in 2006 by the US Agency for International Development to investigate the claims issue. “There was a hope that, if through God’s grace things improved and we were able to enter into a mutually beneficial relationship with Cuba, we would be able to pull something off the shelf and say, ‘Here’s how we’re going to start dealing with it,’” said Patrick Borchers, the law professor who led the Creighton team. This insight led to the proposal that the Creighton team ultimately submitted to the government. Under the team’s plan, some of those who had lost property during Castro’s nationalization campaign could be compensated in ways that didn’t involve the transfer of cash or bonds: Instead, they could be given tax-free zones, development rights, and other incentives to invest in the new Cuba. This, according to Borchers, would be a win for both sides, compensating the claimants while stimulating the Cuban economy. No one is arguing that settling the property claims of Americans is anything like the first or most important step to normalizing the US relationship with Cuba: There are other, more formidable obstacles in the way, as well as significant wiggle room for increasing economic activity between the two countries without formally lifting the embargo. “There’s a scenario that I see, which is bit by bit the fundamentals of the embargo are chiseled away by executive order, by the economic and family ties linking Cuba and the United States, and by non-enforcement,” said Julia Sweig, a Cuba expert at the Council on Foreign Relations. In that scenario, the claims might someday be resolved, but wouldn’t hold the process of reintegrating the United States and Cuba hostage. What will end up happening—both for the American claimants and the Cubans who moved here after the revolution—will undoubtedly provoke debate about what is fair when it comes to setting right the wrongs of the past. How much debt is worth forgiving to help a country back on its feet? And how much should private citizens expect to give up to help a diplomatic resolution? But the provisional plans and proposals that have been made in the meantime—whether preferential development deals or a tax on cash flow between our two countries—reflect something else: visions of a new Cuba, in which American economic interests and Cuban ones are once again closely intertwined.